The sleepy town of Chiang Mai has always been the hub of the Northern region of Thailand. 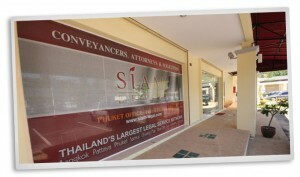 If you are living in the Chiang Mai area then speak to us about your divorce in Thailand. We have had many divorces in the past in Chiang Mai one of them making the front pages of the local newpapers. We have always strived as we do today to offer you a cost effective solution to the end of your marriage in Thailand. Call our offices in Chiang Mai today, speak to us online or simply walk into any of our office in Thailand inclusing our office in Chiang Mai for more assistance. We are always here to assist you with your legal issues. Do it now!